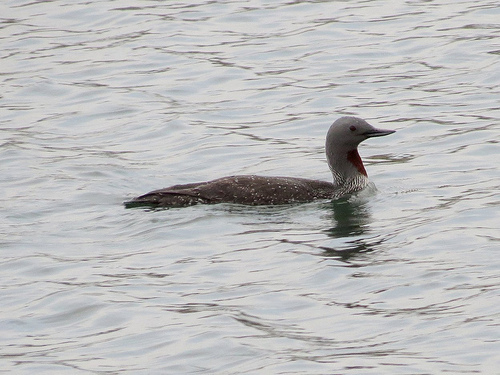 The Red-throated Loon stays on the North Sea coast in wintertime, where it is often found in groups together with Great Crested Grebes. Among the Grebes it is difficult to identify. 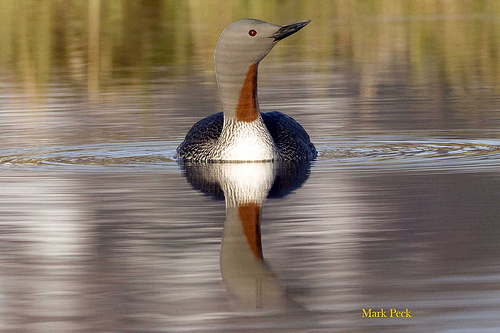 The Red-throated Loon has a slightly upward-curved beak and a striking red throat.